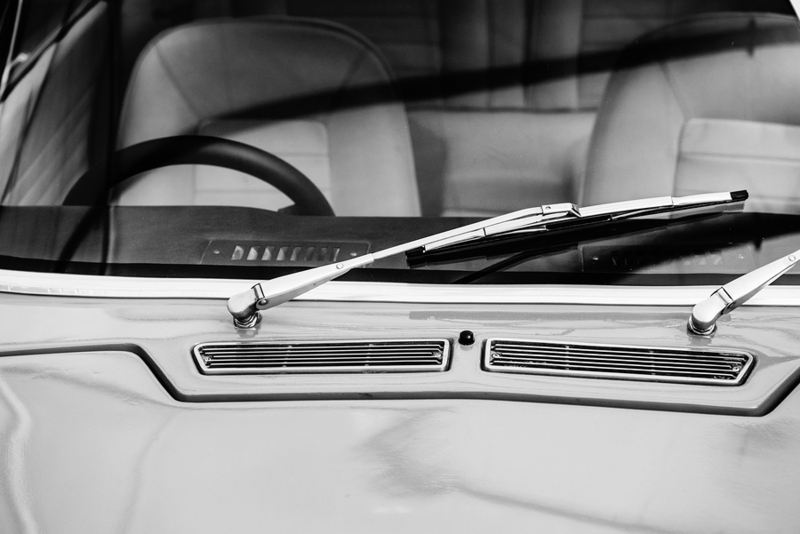 Wiper blades are essential for the safe operation of a vehicle. However, many of us do not replace them nearly as often as we should. We wait until monsoon season rolls around again, and in the meantime we just don’t worry about it. Wiper blades age just like any other component on your vehicle. As they get older and more worn-out, they become very brittle. Parts of the rubber break off, and this leaves tiny gaps in the contact surfaces closest to the glass. When it does rain, water will escape through these natural outlets instead of being wiped cleanly away. This creates the first sign on aging wipers: steaking. Dust and little tiny pebbles can also get caught in these gaps. For Your Safety, Replace Your Wiper Blades! These tiny gaps that leave steaks of water on your glass can gather up particulates of abrasive materials. When you turn the wipers on (usually at higher speeds to compensate for the streaking effects), those little bits of sand and rock are scraping up and down your glass, over, and over, and over. These tiny scratches will build up over time, and can begin to obstruct your vision. Now, granted, they may not be in exactly your line of sight; there’s a whole lot of windshield to be looked through, after all, and chances are the scratches resulting from old wipers will be higher or lower than your typical field of vision. But let’s drive out to see the sunset. Suddenly, there’s a fog of distilled light all over your glass. Those tiny scratches are now catching and refracting light all over the place, and this makes for a very dangerous situation. Those glares can hurt your eyes, and can very easily distract you or obstruct your view of the road ahead. Just Replace Your Wiper Blades. Don’t wait until the rainy season comes back in full force. If your windshield wipers are already streaking your glass, it is not too late. Go on down to the auto parts store, and buy those new wipers and Replace Your Wiper Blades when needed. Some of these places will even offer to install your new wipers for you at no extra charge. If you’re in a hurry, this is a great bonus. Wipers may not be the cheapest component for your car, but they are far cheaper than a new windshield. In the grand scheme of things, we never want to abuse our car; it carries us safely day in and day out. I mean, honestly; some people even name their cars! We love them, we decorate them, and we trust them with our very lives. Thirty bucks a couple of times a year is not that much to pay for safety and comfortable vision, is it? Many vehicles do not even require wipers that are that expensive! The only way to know how much your wipers cost is to go on down to the auto shop and look them up in the book or on the shelf. Do your car a favor, and go do that today.